Spain has developed as the leading destination for advanced fertility tourism options, specifically egg donor IVF. While surrounding countries have laws prohibiting certain methods of Assisted Reproductive Technology (ART) procedures; the laws in Spain allow countless opportunities for family building. Exclusive IVF clinics in Spain are encompassed by English speaking world-class IVF doctors dedicated to accomplishing your dreams, ultimately planning for the honor of building a relationship with you that begins with your first consultation and progresses throughout your pregnancy. IVF procedures are accomplished in exclusive, hygienic, high-tech laboratories in Barcelona, Alicante, Madrid, Seville, and Marbella. You’ll find the best in cutting edge technology — including blastocyst culture. Clinical conditions are held to a strict standard and tailored to match patient needs. Spain utilizes the latest blastocyst culture and transfer techniques to maximize pregnancy rates. Egg donation has become the largest foundation of providing top quality fertility care, personalized patient support and affordable creative financial options. Affording fertility treatment is typically the prevalent burden for any couple or individual seeking IVF. In the UK, IVF costs £6000 (without medications and additional testing). The cost of IVF in Spain (including all required scans, medications, injections, egg collection, sperm insemination, embryo culture (to blastocyst stage if indicated), embryo transfer, pregnancy test and pregnancy scan or first follow-up consultation) is comparably lower at 40-60% of the costs. Fertility clinics in Spain take great strides in providing customized traveler packages including accommodations, and affordable fertility treatments. Traveling to Spain is comparatively easy for residents of the UK or Ireland and the cultural adjustments are insignificant. 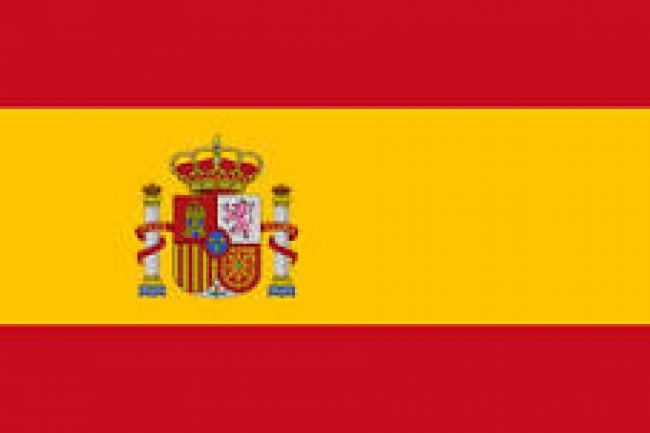 Spain offers outstanding services to patients from all over the world needing IVF treatments. Spain has emerged as a popular fertility destination for those in the UK and Ireland and offers over 500 flights from over 25 convenient airports. Airlines with direct, short flights from London to Seville make it easy to seek IVF treatment in Spain. If you are traveling from the UK to Marbella, Barcelona, Alicante, and Madrid there are affordable, direct flights provided by EasyJet or RyanAir. After a short 2 hour (avg.) flight you will be picked up at the airport and taken directly to the clinic. IVF clinics in Spain have extensive experience working with infertile couples that are traveling from abroad. Each member in the clinic fully recognizes that their most important function is to be an educator. Fertility treatments can be complex and confusing and Spain has become a world leader in helping couples fully understand courses of treatment, just as prominently as how to get started. Clinics in Spain fully understand that you are in the moment of challenge and a demanding trial in life. While the focus is often on the physical solutions of infertility, Spain embraces all aspects of your struggle. In general, IVF clinics typically offer two options available to you to undergo IVF treatment. Travel to Spain for the treatment duration (15-21 days, depending on the body’s response to the ovarian stimulation) or come for your initial consultation and testing visit and then return to your country until egg collection. Treatment starts with your initial consultation with an expert fertility specialist in Spain to initiate therapy. Hormonal therapy needs to start the first day of your menstruation in order to manage your menstruation and facilitate the process. After your first consultation you will receive hormonal therapy for 12-17 days to stimulate the development of oocytes and prepares your uterus for receiving the embryos. Once your follicles are fully developed, we will proceed to collecting the eggs. The only difference with the two-visit program is the option for you to stay in Spain between the first consultation and the oocyte retrieval, which some find more stress-free in enjoying time abroad in a relaxed atmosphere. If you don’t have the time or you simply prefer a shorter stay, you can arrange two separate visits to an IVF clinic in Spain. The first visit is for an initial consultation and the second is for the egg collection. During your first visit our fertility specialists will walk you through the IVF process providing you with all the information you need. At this visit the doctors will also prescribe you the medications needed to undergo the hormonal stimulation. This process is simple and you will be able to do it yourself or with the help of your partner back home. Your gynecologist in your home country should follow this process by performing two to three ultrasounds over a two week period. This ongoing control will help us define the fixed date to arrive back at the clinic. The second visit may require a total stay of 3 to 8 days, unless you leave immediately after treatment. This visit entails the egg collection and embryo transfer process.